A court has agreed to prioritise New Hope's judicial review of the Land Court's recommendation that the proposed New Acland expansion be rejected. A JUDGE has agreed to fast track New Hope's review of the Land Court's rejection of the New Acland coal mine expansion - but it will not happen until next year. 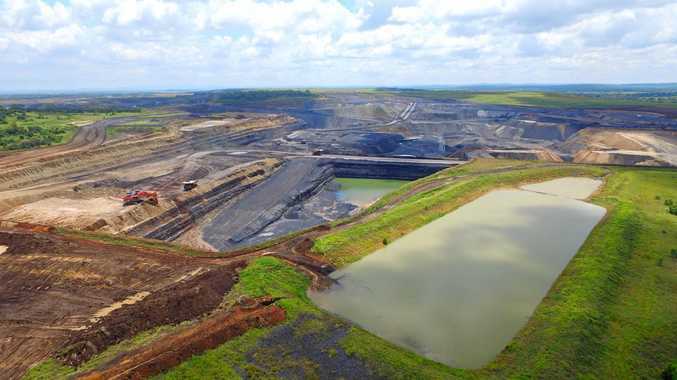 Brisbane Supreme Court on Monday heard the mine, near Oakey, was running out of coal and "jobs would be lost" if the legal proceedings were not prioritised. Justice Glenn Martin agreed the matter should be prioritised but warned that would still not allow for a hearing to occur this year. New Hope barrister Damien Clothier agreed the certainty of a date next year was preferable to relying on another trial being cancelled for the matter to be heard this year. Justice Martin also declared a proposal from anti-coal group the Oakey Coal Action Alliance that a single electronic file should be created with all the entire transcript from the record length Land Court hearing was unnecessary and "silly". OCAA barrister Christopher McGrath said the entirety of the transcript and all evidence from the 100-day Land Court hearing was needed for the review. Dr McGrath said New Hope's argument that they were denied natural justice and that Land Court member Paul Smith was biased against the company was so broad it meant the entirety of the hearing's evidence would be needed. "I can't accept that everything in 100 days of evidence was relevant. I'm not going to do that, it's just silly," he said. The hearing is expected to go for five days, and a judge will be given two extra days to read documents and transcripts. The matter will be mentioned again in court in December.